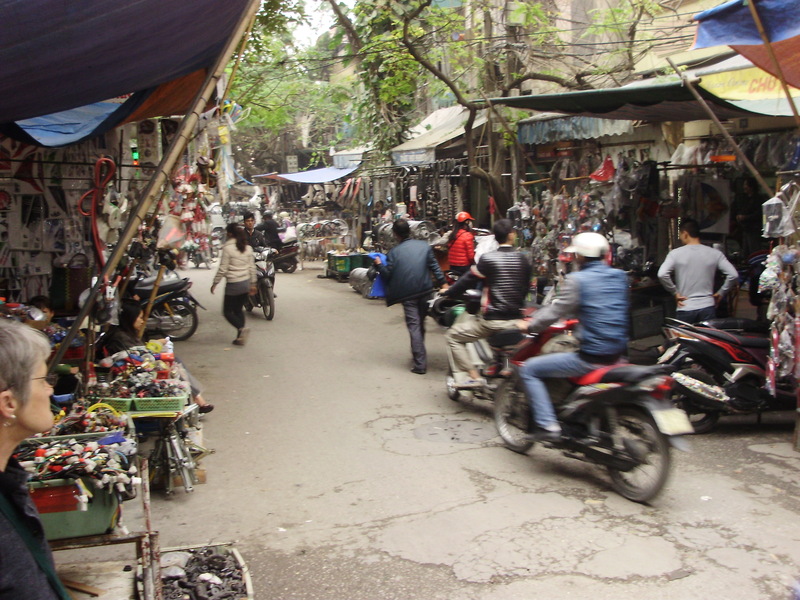 Discussion in 'Vietnam - Motorcycle Trip Report Forums' started by Deano747, Jul 11, 2014. Sunday the 8th. To Bao Lac. 120 kms. and breakfast is a selection on tidbits straight from the Woks. Nobody seemed to need a Buffalo or a quilted quilt, so we are off to Meo Vac. Funnily enough, it is market day there as well. Khau Vai is not only an appointment place of wedded pairs with their missing love, but also a traditional night market of Mong ethnic minority. Nowadays, Khau Vai love Market has become an appointment market, for all people seeking love (from the youth to the person who get married). It is also a place of sharing feelings and understanding about each other of the young girls and boys in ethnic groups in Meo Vac district and surrounding areas. But just in case you thought today was all about the shopping, we get to tackle Ma Pi Leng Pass……..
Ma Pi Leng Pass in Ha Giang province is some 20 kilometers long and cut into the side of Ma Pi Leng, a mountain around 2.000 meters high. The pass is part of 'Happiness' road connecting Ha Giang, Dong Van and Meo Vac town. Ma Pi Leng pass was built by the H'mong, and started in the 1960’s. Ma Pi Leng Pass is not long but it is the most dangerous pass in the northern border mountain area and is considered as the “King” of the Vietnam’s pass’s or Great Wall of Vietnam or the Pyramid of the Meo. At the top of Ma Pi Leng mount on the “Happiness” road is a stone stele recording the marks in the construction process. 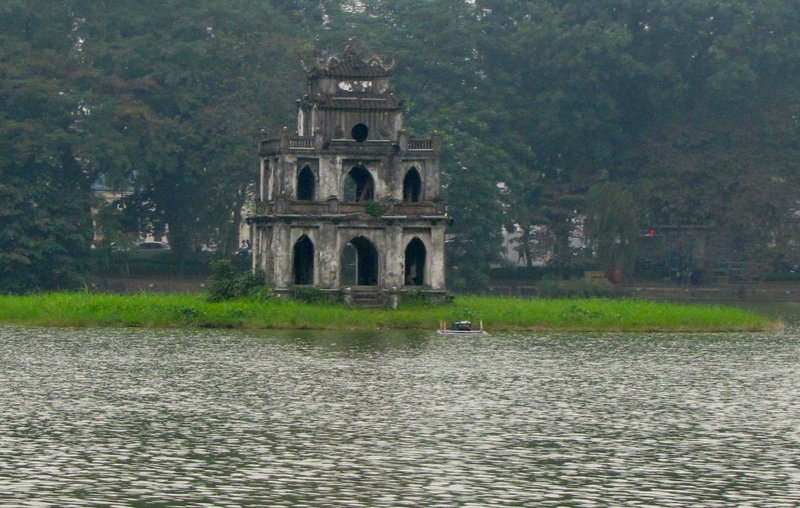 On November 16th 2009, the Ministry of Culture, Sport and tourism of Vietnam classified Ma Pi Leng area as scenic relic of country. Ma Pi Leng pass is considered the unique regional heritage for landscape and geomorphology; the pass peak area is considered as one of the most beautiful viewpoints to enjoy the panoramic scenery in Vietnam, and in the valley, Nho Que River is one of the most unique tectonic valley’s in Vietnam. This area is also known as ‘The Final Frontier’ in Vietnam, with tourism in it’s infancy here. You need permits to travel through here and is Wayyyy off the tourist track. Happiness Road, our guide Minh says that the road got it’s name because the Hmong people were happy to finish it. The story goes that the workers used ropes to attach themselves to the mountain while they were cutting out the road. We stop a couple of more times to distribute the remainder of our goodies and have a lot of fun teaching the kids how to throw frisbees. We had thought of bringing some Boomerangs along, but were concerned by the carnage they might produce. All of our Hotels are quite nice, around a 3 star rating, hard beds in the Asian style but giving good support for the aching muscles every night, western ensuites with wet bathrooms, but electric &#699;on-demand&#700; hot water systems. Our Hotel tonight is without power as the main power pole outside is being relocated, but we all have our torches, with the &#699;head-band&#700; type proving really useful. They leave our hands free as we unpack and in the bathroom, but it is cold showers. The Hotel supplies candles and “It doesn&#700;t matter, it&#700;s an adventure” so time is spent on balconies polishing off the remainder of the duty free, and watching the village go about it&#700;s business in darkness. Power comes back later in the evening, so hot showers in the morning. Tonight is at the Song Gam Hotel in Bao Lac. Monday the 9th. To Ba Be. 120 kms. Breakfast is sourced by our guide, Minh, and consists of fresh bread rolls filled with stuff. Didn’t ask what, but they were very tasty. The bread has been very good, but we are missing proper coffee. Very scenic day today as we wind our way on relatively easy roads around and along the mountain passes and end up in a home stay on the shores of Ba Be (Three Bays) lake. These boots are only waterproof if the water isn’t deeper than your knees. Had to walk through a few times to bring the girl's bikes through. Actually a series of 3 lakes with an interesting story of one particular island. The area is a UNESCO World Heritage site and covers an area of around 100 square kilometers. ‘A tiny islet in the middle of Ba Be Lake is the source of a local legend.The Tay people believe that what is a lake today was once farmland, and in the middle was a village called Nam Mau. Guess what, all the villagers drowned and the flood washed away their homes and farms, thus creating the Ba Be lakes. Only the Widow’s house remained, OK, so it was predictable, but still a good story. We arrive just early afternoon and that gives us time to do a 2 hour boat ride along the lake. Haze again spoils the photos. Tonight at Mr Dang’s house, one of the many home stays in the predominately Tay village. His family provides dinner and towards the end we are treated to wonderful banana crepes and his own home made wine. Wow, so smooth, but such a kick. Tuesday the 10th. Back to Hanoi. 220 kms. Biggest day on the bikes, but mostly through low level farmland on good quality roads. The last 30 odd kilometers are just a shambles with traffic everywhere and it really is just a matter of survival. Our newly learnt off road skills are put to use time and time again by taking to the dirt to get around traffic. All you have to dodge off the side is scooters, pushbikes and pushcarts, people and animals, but we are used to that now. Back in Hanoi late afternoon, and really excited and relieved that we have done it. There are a few bruises, but no one got lost, no one needed more than basic first aid, and we have been so far outside our comfort zone we can&#700;t even see it anymore. Got a few thousand hours flying these in Australia and England. The Water Puppet show rounds off the day nicely. and a tourist drive around the lake in the evening. And finally a big Thank You to Flamingo Travel for the organizing, Crazy Minh our guide, and to his wife and baby girl for letting him come away. Thursday is spent doing more of the same, and a late flight out back to Melbourne via Bangkok transit. What an adventure, what a rush, what a ride! Great report Deano... Loved it. we have been so far outside our comfort zone we can&#700;t even see it anymore. Terrific report Deano. You guys clearly had a hell of a time but this quote from your report does seem to sum up motorcycling in Vietnam! The last 30 K's into Hanoi sounds horrendous. Thanks for the report. Flamingo has an office in Saigon, too. Wouldn't you want to go South? Sorry I missed this one. A little beauty it is too. It just goes to confirm that there are some awesome roads & markets to explore in North Vietnam. make you want to go & ride there.